A recent study has concluded that second-born children are more likely to end up getting in trouble at school or having issues with the law later in life—a finding that is sure to bring much pleasure to older siblings everywhere. Researchers from MIT, Northwestern and University of Florida (plus a few others) followed thousands of sets of brothers in Denmark and the state of Florida—two dramatically different cultures. They found that second-born boys in both locations were more apt to run afoul of authority figures than their older peers. So, why does birth order affect the likelihood of criminality? 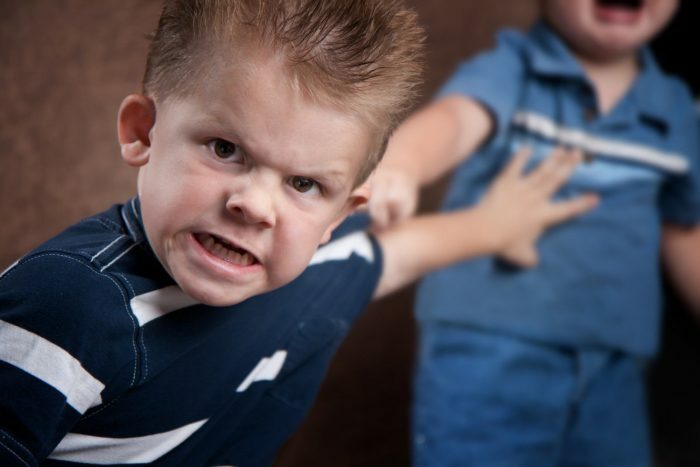 The study authors theorize that this higher risk of delinquency could be due to the fact that second-born children do not receive the one-on-one focus and doting that their older siblings did (“Marcia, Marcia, Marcia!”). As a result, they may act out as a way to get their folks to focus on them. The authors also point to the fact that parents take more time off work when they have their first child compared to when they have their second child. This means that second-borns are not only competing with their older sibling for attention, they are also competing with their parents’ careers and other responsibilities. Furthermore, the study authors also say that second-borns might be more apt to act out because they are looking up to their older sibling as their first role models, whereas first-borns look to adults as their first role models. In other words, the oldest child spends more developmental time around adults, which, in turn, influences them to behave more maturely. A second-born, on the other hand, will be looking to a toddler or a school-age child as a role model—one who will naturally be more impulsive and egotistical. It comes as no surprise that previous research has found that oldest siblings tend to be smarter than their younger sisters and brothers. The reason? Parents, naturally, spend more time alone with their first children—giving them their undivided attention. Many parents in the intelligence study admitted that they were less enthusiastic about engaging in enriching activities with their second and third children. What types of enriching activities, you ask? Well, bedtime stories, crafts and playing instruments—exactly the types of things that help to increase intelligence. On top of all that, some mothers admitted that they were not as strict with themselves about things like drinking and smoking during their second or third pregnancies, which could contribute to adverse outcomes for their babies. This Is Why You Might Want To See Her Without Make-Up BEFORE Making That Commitment!